Porcelain veneers correct a vast array of aesthetic shortcomings. 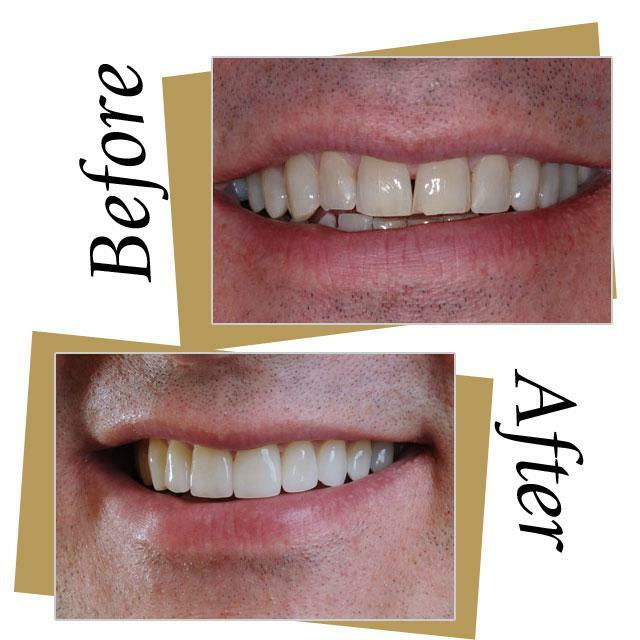 Veneers are thin shells of porcelain applied to the outside of a tooth to change the color, size, shape, or alignment. They are the most esthetic solution to many cosmetic problems. Usually, very little tooth enamel is removed during preparation and only 2-3 visits are necessary. Some call veneers ‘instant orthodontics’ because the effect is so dramatic.